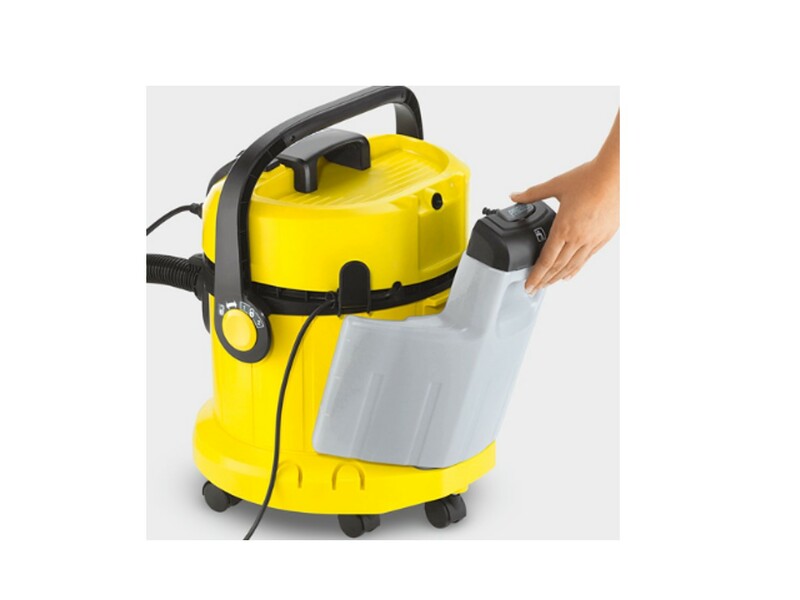 The SE 4001 spray extraction cleaner cleans deep into the fibres of textile surfaces, e.g. carpets, upholstery/upholstered furniture, stairs with textile coverings, mattresses, wall hangings and car seats. 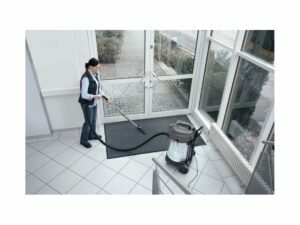 Tap water and Kärcher RM 519 carpet cleaner are sprayed deep into textile surfaces under pressure and removed together with the dissolved dirt. 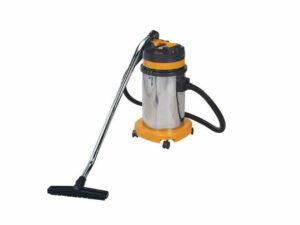 This spray extraction machine is ideal for allergy sufferers and households with pets. Thanks to innovative nozzle technology, cleaned surfaces dry in half the time. The large, removable 4 litre clean water tank is shock-proof, translucent and is easy to fill and empty. The removed dirty water is collected in the machine container. 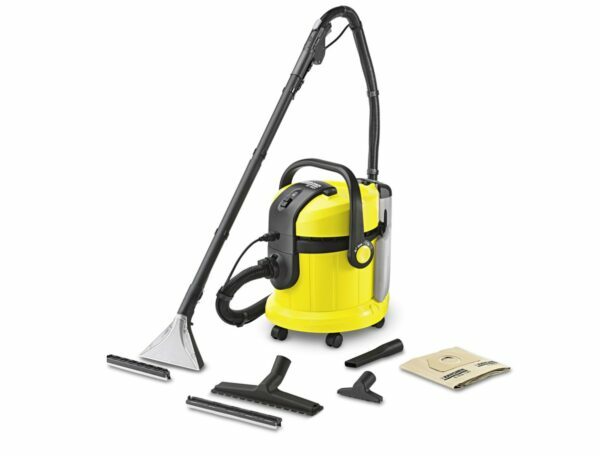 The 3-in-1 handle enables easy carrying, opening, closing and emptying of the container. The robust plastic container offers space for cord and accessory storage. 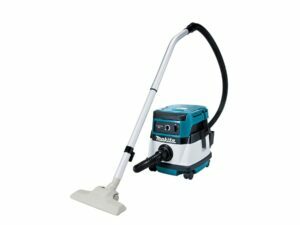 The extensive accessories enable the machine to be used as a Multi-purpose Vac. Easy to fill and empty without having to open the device. Clean water tank easy to attach to the machine.